Endings are one of the hardest things for me to write. Obviously, I feel the weight of the readers’ expectations—hey, if anyone is reading this, they’re trusting me to end this satisfactorily! And I’ve read so many books where a so-so ending kept the book from becoming great. But both happy endings and sad endings have pitfalls. Happy endings can come off too unrealistic and gushy. But do a sad ending badly, and no one believes your tragedy. Even done well, a sad ending can be rather—depressing. Really, does nothing good ever happen in life? As a reader, I’d probably pick the happy ending every time if I have a choice. I can skim over glurge, and have many times, but a sad ending to a book or even a movie can leave me stuck on how it ends for weeks. That’s the point of most sad endings, of course. But I can’t handle every book I read to impact me that much. And, of course, I like to believe that though there are so many terrible things in life, sometimes people end up being happy. One example of a good happy ending is, I think, (spoiler alerts ahead!) Pride and Prejudice. Yeah, the couple does end up getting together and getting married and all those other cliché happy-ending tropes, but Lydia is still married to Wickham. Her mother is still a fool—endings that are too happy change everyone’s characters into unrecognizable versions of their previous personalities—and her father still has to put up with her (or hide in the library). 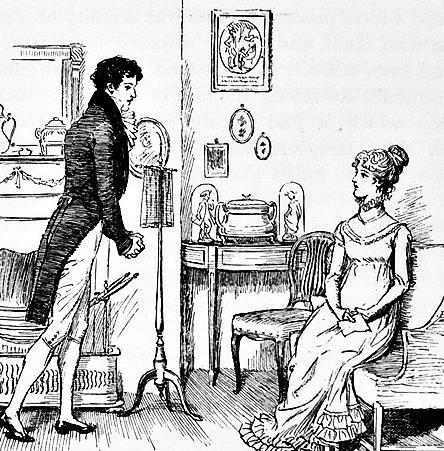 And as for Elizabeth and Darcy themselves… well, Austen makes it very clear that Darcy has a way to go in managing his pride, so their marriage will not be heaven. But I think it’s exactly those kinds of shots of reality that keep happy endings from becoming, well, too unrealistic. How shall we call those endings? Gritty-yet-happily-ever-after? But I think the best compromise between a happy ending and a sad one is a bittersweet ending. When things in life are happy, they’re never completely happy. The best book example I can think of this is Lord of the Rings. The One Ring is destroyed and the Dark Lord is vanquished forever, but Frodo is never the same again. Most characters go on to become leaders or get married, or do something great, but there is something about the world that is changed forever. It’s probably the best mix of the readers’ hopes andcynicism that a novel can achieve. Now, I should go study for exams again. Comment below on what type of ending you prefer! Looking for a story with an ending that won’t devastate you for days? I can promise you that if you find yourself mulling over my ebooks, Prince Charming or Lookin‘ Good, it won’t be because they leave you feeling gloomy on the inside. You can decide for yourself if the endings are happy or bittersweet! Update: Lookin’ Good–a short, five-minute read–is now free at Smashwords.